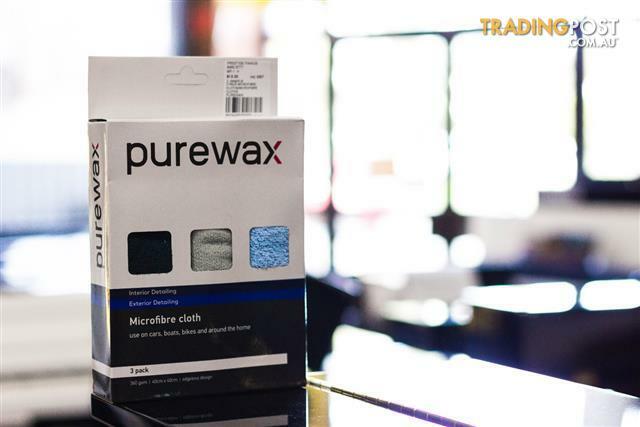 These Purewax Microfiber Clothes are the ideal cleaning clothes to use, with either a Cleaner or Detailer, featuring their edge-less design for a fantastic finish. Featuring 360gsm and a 40cm x 40cm Edge-less design to ensure no surface marring. These Microfiber clothes are the ultimate in picking up dirt, grime and dust for a cleaner finish, without marking or scratching the pianos finish. Packaged in a 3 Colour Combo pack, containing 1 Black, 1 Light Blue, and 1 Grey, these high density microfiber cloths are a must have for the perfect application of the Waterless Cleaner and Detailers.